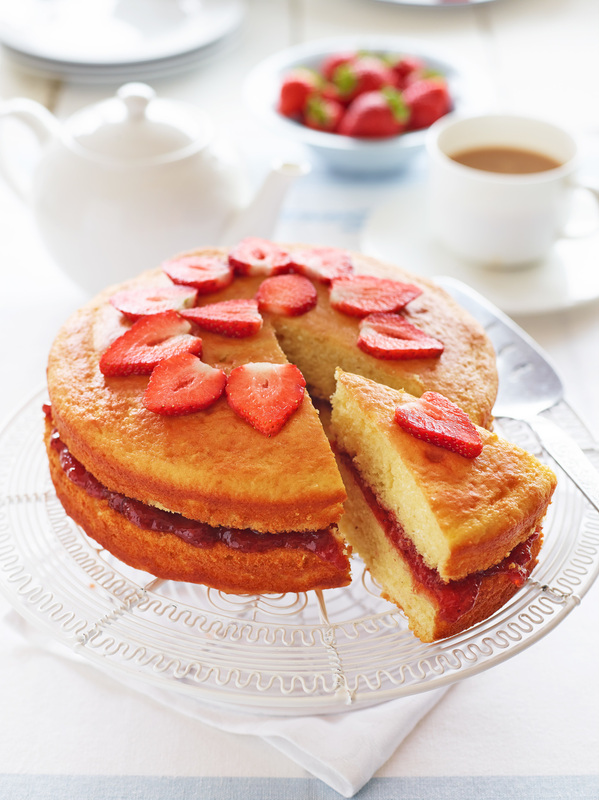 Made with rapeseed oil and yoghurt to keep it moist, the lighter sponge is spread with Streamline strawberry jam. Now you can have your cake and eat it! Lightly oil 2 x 18cm sandwich cake tins with a little rapeseed oil and line the bottom with greaseproof paper. Tip the flour, baking powder and sugar into a mixing bowl and combine. In a separate bowl, beat the eggs, add the yogurt, vanilla, melted butter, milk and oil and stir until smooth. Tip this into the dry mixture and gently fold with a large metal spoon until well combined. Divide the mixture between the tins and level the tops. Bake for 20 minutes until the cakes have risen and spring back when you gently press the top. Let the cakes cool for a few minutes in the tins, then turn them out, remove the greaseproof paper and leave to cool on a cooling rack until completely cold. Upturn one of the cakes onto a serving plate and spread the Streamline Strawberry Jam over. Gently place the other cake on top and decorate with slices of fresh strawberries.